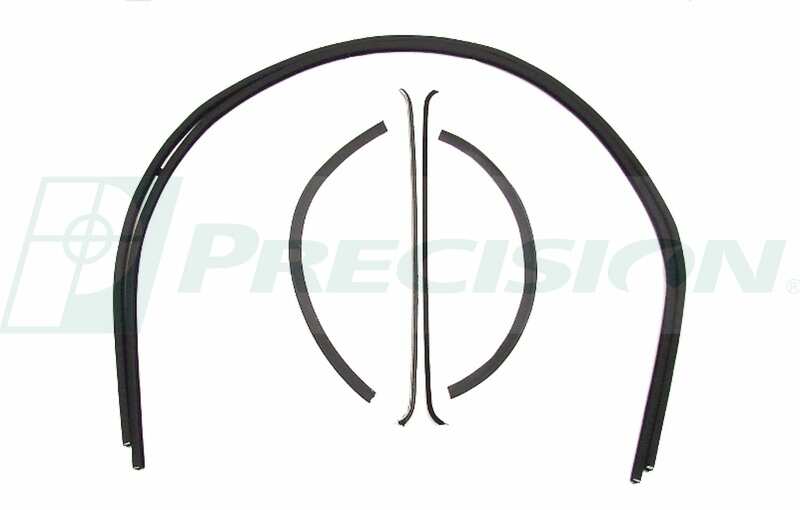 This is a rubber-covered stainless steel core beltline molding kit with felt lining. 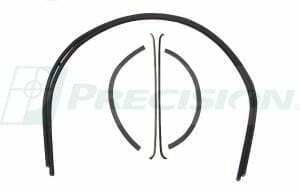 Kit does inner & outer on both front doors as well as glass run for both doors. 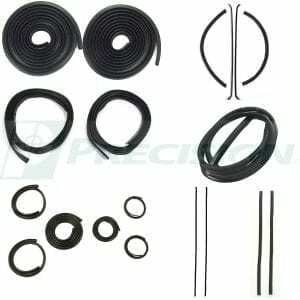 6pc Beltline and Glass Run Weather Strip Kit for 1947-1950 GM Pickup/Front Door of Suburban. 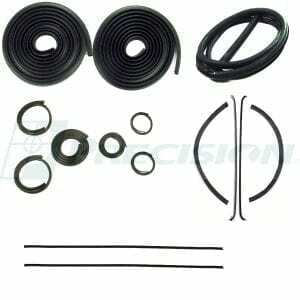 This window channel kit contains the beltlines and glass runs for both driver and passenger doors. 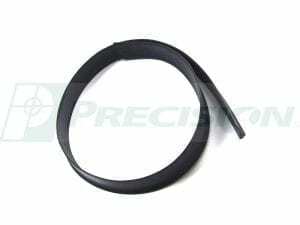 Replace your dried-out or cracked weatherstrip with a product that’s made from the same materials and spec as the originals. 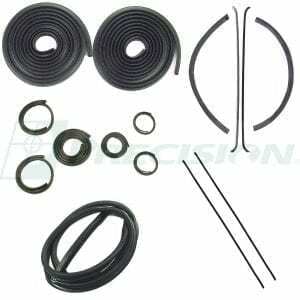 This beltline and glass run kit fits: 1947, 1948, 1949, 1950 GM Pickup and front door of the Suburban.